I want to tell you something wonderful that happened to me last week. When I was a boy of no more than twelve, my mother, knowing how I loved to spend every free moment of the Long Island winter evenings on top of our flat-roofed garage staring up at the heavens with my Edmund Scientific telescope, gave me a gift. This was in the days when the night sky sixteen miles from Manhattan was still dark enough to permit a few stars to take a bow when the moon wasn't hogging the stage. Mom had me bundled up so thoroughly I could barely move to adjust the instrument, let alone climb the backyard stairs that led to the roof—I looked like a golem with a baseball bat. I remember, too, that my coat had these flat, metal snaps that locked together in what I imagined might be similar technology to that used by Dr. Frankenstein to secure his creation to the laboratory table. My cap had those ears that pulled down from the inside in what was the height of young men's haberdashery chic for 1961. I was enough of a nerd to incorporate the coat into my daily flights of science fiction fantasy as space cadet uniform, radiation shield or upper body strength super-enhancer, but even I knew that hat had "dork" written all over it. I don't remember how she found it, but one day when I got home from school and tossed my dinosaur repulsion barrier (coat) on my bed, its large, circular communicator (yellow bus pass) glowing brightly, I realized I had thrown it on top of something she had left on the bedspread for me. 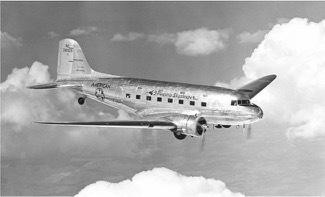 chock for a Douglas DC-3 (I've included a picture for you young 'uns). This cinder block, written in 1939 by Hungarian Zsolt de Harsanyi, translated into English by Paul Tabor, was a biography of Galileo Galilei called The Star-Gazer, and although it was twice as thick as any book I had read up until then, I consumed its pages as if they were made of Hershey bars. The Italian Renaissance astronomer became my hero, and this book helped propel me into a lifelong love of reading. Now, fast forward 50-odd years or so to a strange package arriving in the mail last week. Another book, the one pictured to the right, in fact. One of the two authors was Dr. Zsolt Harsanyi, the grandson of the man who penned The Star-Gazer. Dr. Harsanyi directed the first assessment of biotechnology for the U.S. Congress' Office of Technology Assessment and served as a consultant to the President's Commission for the Study of Ethical Problems in Medicine and Biomedical and Behavioral Research. And here he was, having found me through the miracle of the interweb, mailing me his own 1981 work on the ethics of bioengineering. Did I say 1981? I did. 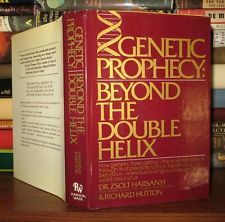 Dr. Harsanyi was one of the first to wrestle with the "can we/should we" questions of genetic engineering. I had posted a comment about his grandfather's work someplace like Goodreads, and Dr. Harsanyi had used (I imagine) his NSA contacts to find out where I lived. His kind note to me was written from the Budapest Marriott! I hate to get sappy (no I don't, not really), but I imagine Galileo would find it as astonishing and wondrous as I that two strangers could reach across the planet and find each other in this marvelous way. I wish my mother was still around so I could tell her this story. She'd flip.